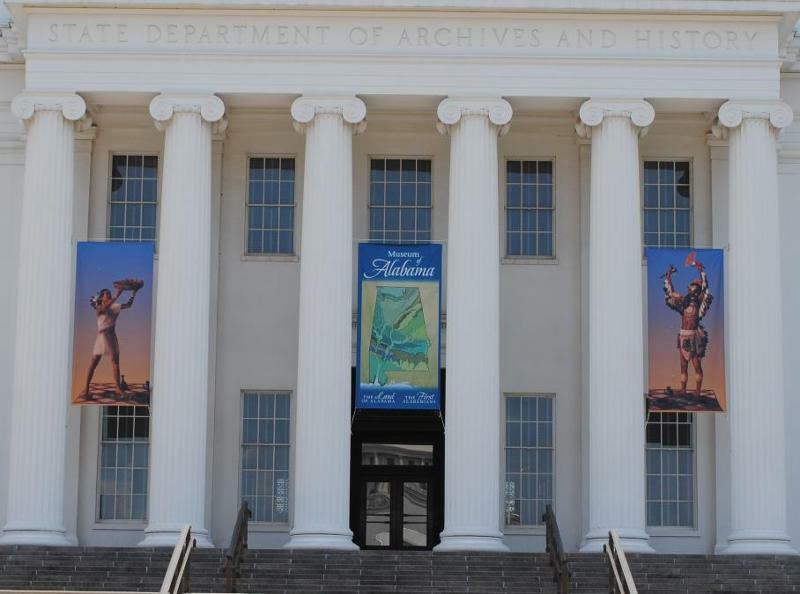 The Alabama Department of Archives and History recently opened two new exhibits that are the first phase of The Museum of Alabama, which eventually will include five renovated galleries in the Archives building and an entirely new centerpiece exhibit, Alabama Voices. The Land of Alabama exhibit uses photos, video and artifacts to introduce visitors to the rocks, waters, plants and animals of Alabama. The First Alabamians exhibit tells the story of native Americans from pre-history to about 1700 through the use of artifacts, maps, murals and replicas. The Archives has also just announced that the Museum of Alabama exhibits will now be open every Saturday from 8:30 am to 4:30 pm starting September 3rd! While you are there be sure to take the kids to the Hands On Gallery, a special place for kids to explore, play and learn. Tip: Go to the Hands on Gallery last, because the kids won't want to leave to see other parts of the museum. Trust me. For more information including directions check out the Archives website, http://www.archives.alabama.gov/ or their Facebook page. P.S. Admission to the Museum is FREE! Dragon Boat Racing is an ancient Chinese tradition that’s is one of the fastest growing water sports in the United States and internationally. Dragon Boat festivals present a unique opportunity to blend athleticism, community building and cultural enrichment. The Montgomey Dragon Boat Race and Festival is hosted by Rebuilding Together® Central Alabama and Bridge Builders® Alabama as a fund raiser for the two charities. The competing teams raise funds by pledging and soliciting donations before the race. The festival will be held at Riverwalk Park on August 27, 2011. Admission is free and the public is invited to come and see fellow Montgomerians compete on the Alabama River. The City's Coosa Street Parking Deck, Commerce St. Parking Lot and Intermodal Facility Parking Deck are reserved for paddlers and volunteer until 9 a.m. After 9:00 anyone is welcome to park in at those facilities. Beginning at 8:30, the City of Montgomery will run shuttles to the park’s tunnel entrance on Commerce St. from the Crampton Bowl/Patterson field parking lots on Madison Ave. and from the Biscuits surface lots at N. Lawrence and Columbus St. Shuttles will run every 15 minutes are and are free to the public! Be prepared for a brief wait in the parking lots. Larger shuttles will run from the park entrance to the lots starting at 4 p.m.
2) from the top deck of the intermodal parking facility (next to the train shed and new Advertiser building). From the top deck, cross the foot bridge over the railroad tracks and take the elevator or stairs into the park. There is no longer access to Riverwalk Park across the railroad tracks at the end of Coosa St. There will be food vendors and plenty for children to do in the Children's Village (please note that children must be accompanied by an adult in the Children's Village. Don't forget your sunblock! According to pictures from last year the splash pad was a great place for the kids to keep cool, so plan accordingly. Like Redbox on Facebook and click on the America's Movie Night tab for a code good for one free night $1 DVD rental. Code is valid at kiosks between 12am CT and 11:59:59pm CT on 8/25/11. 1 time use of code only. Valid for a 1-night standard DVD rental or for a $1 discount off the first night’s daily rental fee for a Blu-ray Disc or video game at kiosk only. Limit 1 code per transaction. Code not valid online, via app, or for prior rentals. Your payment card (necessary for any rental) will be charged the excess daily rental fee for a Blu-ray Disc or video game, if applicable, plus tax (except for MD rental transactions for which additional tax is not charged), and will be charged the daily rental fee (without any discount) for all items plus applicable tax (except for MD rental transactions) for each night you do not return your rental by 9:00 pm local time (at the kiosk) after the first rental night. Void where prohibited by law. Codes must not be copied, sold or otherwise offered. Any other use constitutes fraud. Cannot be combined with other offers. Cash value 1/100¢. Let's Move The River Region is a day of FREE, fun activities and events, focusing on physical activity and nutritional education, strategically placed throughout the city of Montgomery and the River Region. 7 am-8 am Downtown-Walk from Court Square Fountain to the Capital then Zumba on the Capital steps. There are many more events and activites in Montgomery, these are only the highlights. Click here for the entire list! For more information or to see other events in other counties in the River Region, see the Let's Move! The River Region website. If you are going to be outside 'moving,' don't forget your water! Have a great weekend! 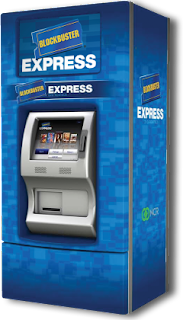 If you love Steve Carell, you will love this deal from Blockbuster Express! 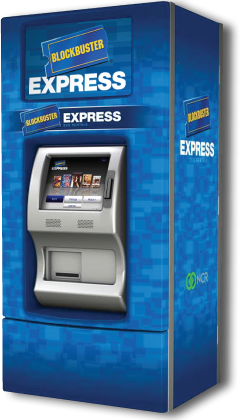 Use code CARELL to get the first night's rental for free on any Steve Carell movie in the Blockbuster Express kiosk. Expires 8/26/11. Don't forget to return it before 9 pm the next night to avoid additional night charge. Go here for a list of all Steve Carell movies, to refresh your memory just in case you see one of them in the kiosk. This weekend we are having a big yard sale at my parents house. So I am a little late posting this. I am looking forward to finishing up this yard sale Saturday afternoon and checking out the Buckmasters Expo on Sunday afternoon. You can get rentals priced $1.99 or less for just $0.49 at Blockbuster stores, valid every Sunday through 9/5. Go here for more details. There is still a Blockbuster store in Prattville. Did I miss anything? Don't forget if you are having a yard sale, post it in the discussions on the River Region Family Facebook page. I had seen the gas card deal (on the front page of the ad) and had seen all the great coupons for the Huggies Slip On diapers (a new product!) and knew that I could make an awesome deal. I spent some time on Sunday researching and coming up with a plan to use a bunch of coupons and Sunday afternoon, I went to my closest CVS to try to make a deal of it. Alas, there were no Huggies Slip-On diapers. (Sad.) Apparently most stores around here get a shipment on Wednesday night, so I was told to check back on Thursday. Today I stopped in the Forest Avenue store (I always forget about that store.) and got a great deal! The manager (who checked me out and was super nice) said he had just put the Huggies Slip-Ons on the shelf, too. I was just in time! I also used a $10 off $50 purchase coupon that I got earlier this week from the coupon machine and a $3 ECB. Because some store coupons change the tax amount my total before tax was $0.70! I spent only $4.93 ($4.23 in tax) out of pocket and then got back a $10 Gas Giftcard!!!!!!! They paid me to shop there!!!!! It's Thursday, which means it's Family Dinner Night at Earth Fare from 4-6 pm! Up to six kids eat for FREE with one adult purchase of at least $5! If you haven't already, take a quiz, then print a coupon to trade a children's multivitamin containing artificial ingredients for a bottle of Nature's Plus Animal Multivitamins. In the spirit of Smithsonian Museums, who offer free admission everyday, Museum Day is an annual event hosted by Smithsonian magazine in which participating museums across the country open their doors to anyone presenting a Museum Day Ticket...for FREE on September 24, 2011. To get your free ticket, click here. Fill out the form and instructions to print the ticket will be emailed to you. To find museums in other areas click here. I may be a nerd, but I think this is a great freebie! Where are you planning on going? Old Alabama Town is offering half price admission on Saturdays in August! Enjoy 50 percent off admission to the historic 19th-century village located in the heart of historic Montgomery. Old Alabama Town is open Monday-Saturday, 9 a.m. to 4 p.m.
For more info call 240-4500. Tip: Don't just look for them on the chip aisle. Thanks to a friendly CVS employee, we found a large display of different varieties on the "seasonal" aisle. Every Thursday night is Family Night at McDonald's on Chantilly Parkway. From 5-8pm enjoy $1.99 Happy Meals, crafting fun provided by Michael's, face paintining and more. Makes me want some homemade pizza. Yum! Earth Fare sent out another $5 off $20 purchase coupon for the Montgomery and Auburn stores. You can print the coupon here. You can sign up for Earth Fare emails here. You can use this coupon at any Publix store that considers Earth Fare to be a competitor.